Lost: Ben has multiplied, Jack needs to stop him. 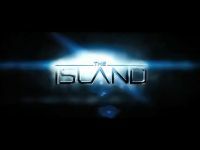 Lost: What if the Island was middle Earth? Lost: Sawyer and Kate can not forget their past, they have to accept it together. Lost: Sawyer is a real piece of work. Lost: Charlie struggles with drug addiction but in the end throws it away. Lost: It was fate that brought them together. After dealing with their past lives, it's time to start their new - with each other. Sawyer and Kate are meant to be. Lost: Well this trailer is inspired by Pan's Labyrinth trailer.It's my first attempt to make such a trailer. Lost: At odds with one another, Jack, Kate and Sawyer share an unspoken bond. Beneath the surface, there is a monster lurking inside each of them. It is the source of their greatest strength and their greatest weakness. Lost: One generation from now, women have become infertile and all hope for the future of the world is lost. That is until, Jack, with the help of Juliet, discovers the very pregnant Claire... Lost done to the Children of Men trailer.